It will be a work in progress for awhile… until I give Highway 17 in Georgia and Florida more attention. But I thought I’d get it started – and have this post be a ‘work-in-progress’, so keep checking back in. And don’t hesitate to make a suggestion if you think a place needs to be included – leave a comment, or email me at US17CoastalHighway@gmail.com. 1. 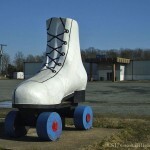 Stop by the Giant Roller Skate at the Rollerworks Family Skating Center in Bealton, Virginia and take a photograph with your friends and family. While you’re there, skate for awhile too! 2. 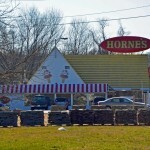 Catch breakfast at Horne’s Restaurant and Gift Shop in Port Royal, Virginia. 3. 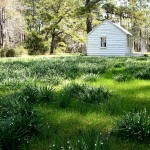 Take a tour of Hobcaw Barony in Georgetown, South Carolina in the springtime when the snowdrops are in bloom at Friendfield Village. 4. 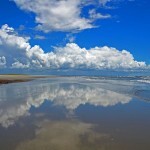 Sign up for a Coastal Expeditions Bulls Island Beach Drop in the Cape Romain National Wildlife Refuge (which is a U.S. Fish and Wildlife Class 1 Wilderness Area). There is only one word to describe the place: breathtaking. 5. 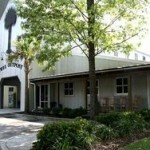 Stop by the Sewee Outpost in Awendaw, South Carolina and buy a country ham biscuit – and sit in one of their rocking chairs and eat it. Under Construction… more to come!